As shown in the image above, this email is a well designed fake; it shows ‘Netflix’ as the sender name and prominently displays the Netflix logo. This sort of phishing scam allows cybercriminals to harvest victim’s credit card credentials. The phishing page is designed to operate like a legitimate login portal. 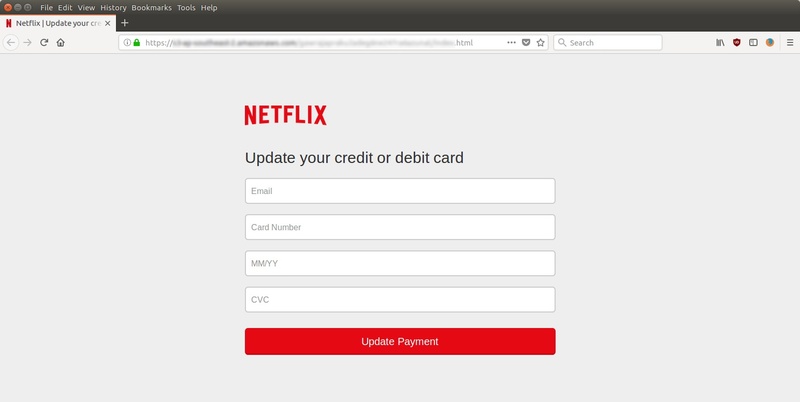 It asks for card details and password verification, then ejects the scam victim to a real Netflix page to allay suspicion. MailGuard has successfully prevented these emails from reaching our customers, but unprotected inboxes will be affected today. Please exercise caution if you are not a MailGuard customer. 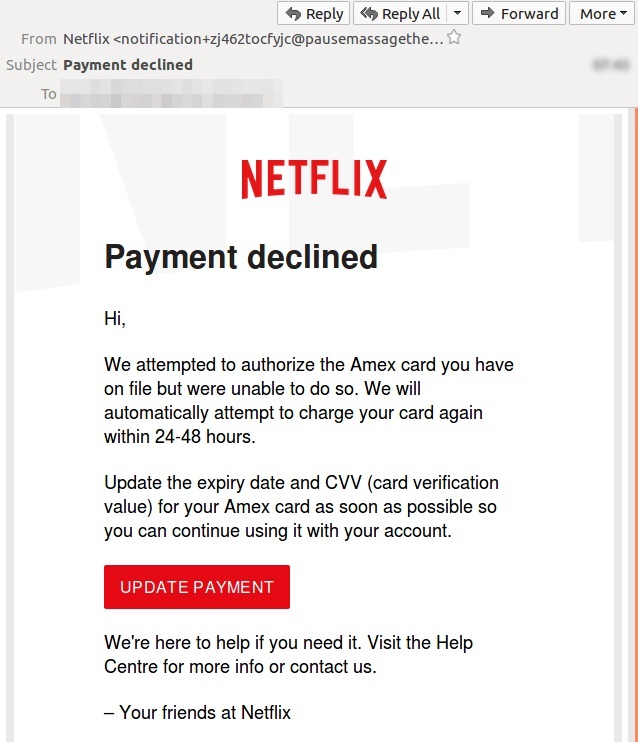 This new round of phishing emails follows the Netflix branded scam MailGuard broke November 3 last year, which made international media headlines. Please share this alert with your social media network to help us make the people aware of the threat. Phishing can be enormously costly and destructive, and new scams are appearing every day. Don’t wait until it happens to your business; take action to protect your company from financial and reputational damage, now.